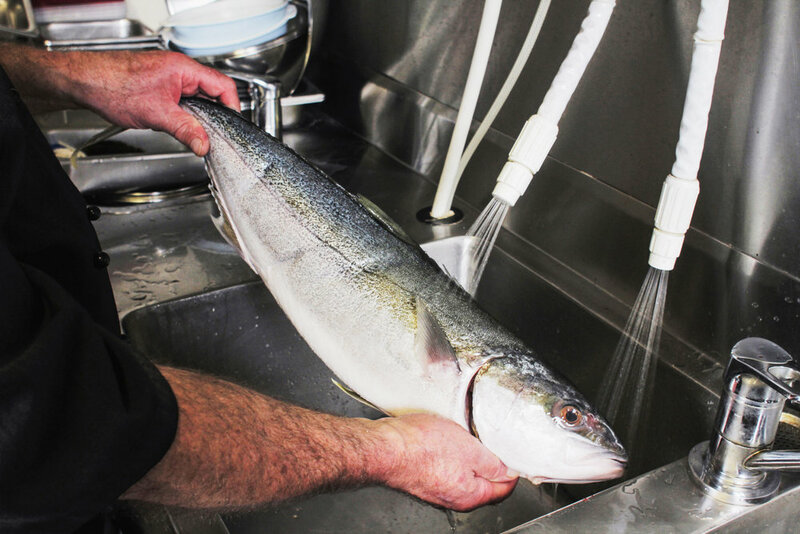 Food Safety is a core part of our DNA at eWater Systems. Australian Food Safety Week offers an opportunity to share two examples of how eWater Technology is providing our customers with confidence when it comes to producing safe food for their customers. The Food Safety Information Council is the driving force behind Food Safety Week. It is an opportunity to share information and raise awareness about the importance of food safety both commercially and domestically. To kick start the conversation this year, the FSIC has released a national report highlighting that one in three Australians are at risk of getting a potentially fatal Listeria infection themselves, or live in a household with someone at risk. At eWater Systems, food safety is top of mind and while our systems provide a wide range of benefits, product efficacy remains the most important feature for both our customers and ourselves. Research shows that eWater Sanitiser is an effective tool in removing Biofilms from food production facilities. Biofilms are a major source of food contamination in processing plants because they frequently survive sanitiser treatments during cleaning. More than 80% of the bacterial infections in the human population are associated with biofilms and approximately 60% of foodborne outbreaks are caused by biofilms . Studies have shown that eWater eradicates biofilms formed by both Gram-negative bacteria (Vibrio parahaemolyticus) and Gram-positive bacteria (Listeria monocytogenes) and has been observed to inactivate the detached cells which are a potential source of secondary pollution. Further studies have also demonstrated that efficacy is increased further when eWater Cleaner is used in conjunction with eWater Sanitiser. Utilising both solutions improves performance in both removing these harmful biofilms and reducing their potential to reform making it more effective than traditional bleach based sanitising. By utilising eWater instead of traditional packaged and toxic chemicals such as bleach-based sanitiser, you are not only ensuring a high standard of food safety, but you are removing toxic chemicals from contacting food altogether. eWater Systems has received accreditation from HACCP, the leading certification mark for food safe equipment, materials and services to support our customers’ needs as they develop and implement their food safety plans. Respected in Australia and the wider Asia Pacific region, the HACCP certification provides a recognisable and trusted qualification for specifiers and operators alike in the food industry. We have been certified for both our wall mounted model and fully reticulated systems as generators of food-safe cleaning and sanitising liquids, suitable for use in food facilities and food handling operations. For further information about this accreditation and to receive a copy of the certification for your operations, please contact our team on the form below. (Wolcott and Ehrlich, 2008; Simoes et al., 2010; Bridier et al., 2015). Older PostCan the Sustainable Melbourne Fund support your business upgrades?